With Kentucky Derby (GI) season in full swing, the word “racing” generally conjures up images of fancy hats, sunny days, horses flying past the wire and fond memories of mint juleps and bourbon cocktails shared on the rail. For some, however, the track holds more shadows and intrigue than it does sunlight. 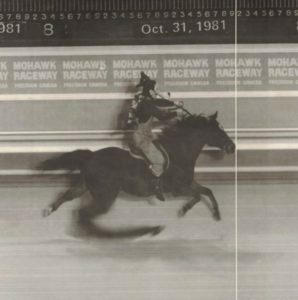 From murders and disappearances to theft and even connections to organized crime, the racetrack holds more mysteries than most fans realize. Let’s explore some of racing’s most bizarre twists of fate. Everyone has a theory. Almost no one has an answer. 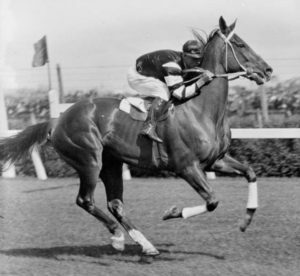 A discussion of racing controversy would be incomplete without the champion Phar Lap. 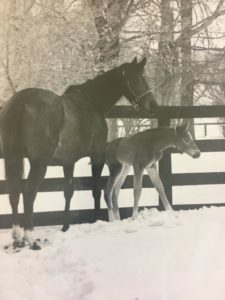 Foaled in New Zealand in late 1926, the chestnut gelding brought the world hope during the heart-wrenching Great Depression. Despite finishing dead last in his first start, the horse ended up winning 37 of 51 races – 14 in a row by 1931 – and was later inducted into the Australian Racing Hall of Fame. What has caught as much attention as his career, however, is the end of it: Phar Lap passed away abruptly at age 5 in 1932. 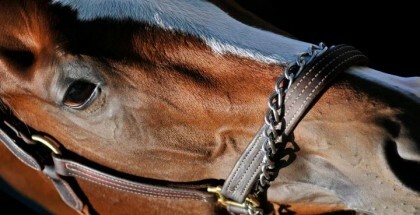 His strapper (groom) found him in the early mornin in his stall with a high fever and showing signs of pain. The horse was reported dead in California shortly afterwards. Conspiracy theories exploded — it was murder! He was whacked by American gangsters! His death had been faked! For decades, furious questions and even the wildest theories went unanswered. Then in 2011, hair follicle analysis revealed high levels of arsenic in Phar Lap’s system. But this was not enough to put rumors to rest, as it was later suggested that the arsenic ended up there by other means and did not cause his death. Another theory pointed to an unexpected colic due to a sudden change in feed, but even this has not been sufficiently validated. What happened to the fighting horse so beloved that his passing felt to the Australian people like a death blow to national confidence and pride in such a vulnerable time? And why all the secrecy? “He’s the only one who knows what happened that night, and he took it with him.” Unfortunately, it appears when fellow jockey Ricky Frazer said this he might be correct. Ron Hansen was a talented jockey riding in Southern California in the 1980s. Those who knew him always had high praise for his ability to bring the best out of a horse. He was loved deeply by his family and was a figure who was larger than life; he was good at catching media attention, gifted at getting into and out of trouble, always ready to help someone out, hard to keep up with at parties, and quick with a joke or a tall tale. Hansen did not show up to work horses on the morning of October 2, 1993. The night before, his car – going over 100 mph – crashed into a Toyota on the San Mateo Bridge in California’s Bay Area and was later recovered over a mile from the wreck. Hansen’s keys were missing, and so was he. In early 1994, human remains were recovered near the San Mateo Bridge which were consistent with Hansen. 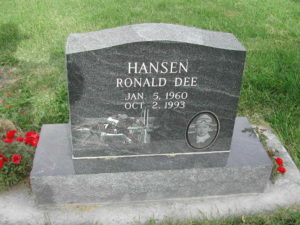 Several years later, one of Hansen’s friends claimed he believed Hansen had been drinking, and had simply fled the scene of an accident and fallen into the water below. 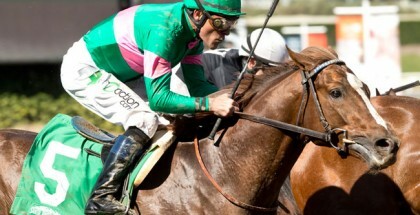 No one is 100 percent sure, however, what ultimately caused the jockey to meet his end. After 36 years, he’s still never been found. The European Horse of the Year in 1981, Shergar, a bay stallion famous for running with his tongue out, was one of the most valuable horses in Ireland. On a dark evening in February of 1983, Shergar’s head groom was forced at gunpoint to load Shergar into a horse trailer and himself was then kidnapped by a gang of seven masked gunmen, only to be dumped from the car over three hours later. 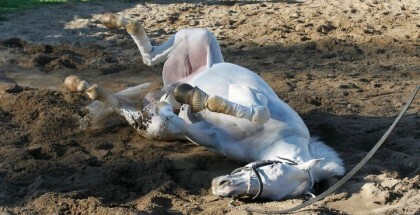 No one ever saw Shergar again. It’s largely believed that the Irish Republican Army (IRA), a paramilitary movement group, was responsible for the crimes. 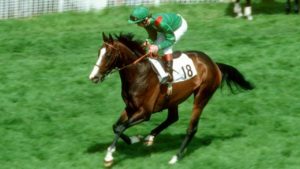 Though a former IRA member said that they had killed Shergar after his connections refused to pay a $3 million ransom, the horse’s remains have never been found, and the IRA has never officially announced they were responsible. To this day, the case is considered unsolved. This mystery still hasn’t been figured out. But to be honest, we’re not sure we want to bring this guy “to justice.” As many great stories start, it was Halloween night. Let us set the scene: it was 1981, it was dark, and it was cold. Harness racing at Mohawk Park was in full swing in the middle of the eighth race. Then, from the shadows of the backstretch, he emerged to join the horses and drivers on the track: a lone rider on a fast horse who followed the racing field. He did not interfere with the race, and when he crossed the finish line, he threw his arm into the air in victory with a wave to the crowd and rode away into the night, never to be seen again. The kicker? We still have no idea who he is. All we do know is that he wore a Goofy mask and denim overalls and had himself a grand time at the races that night.